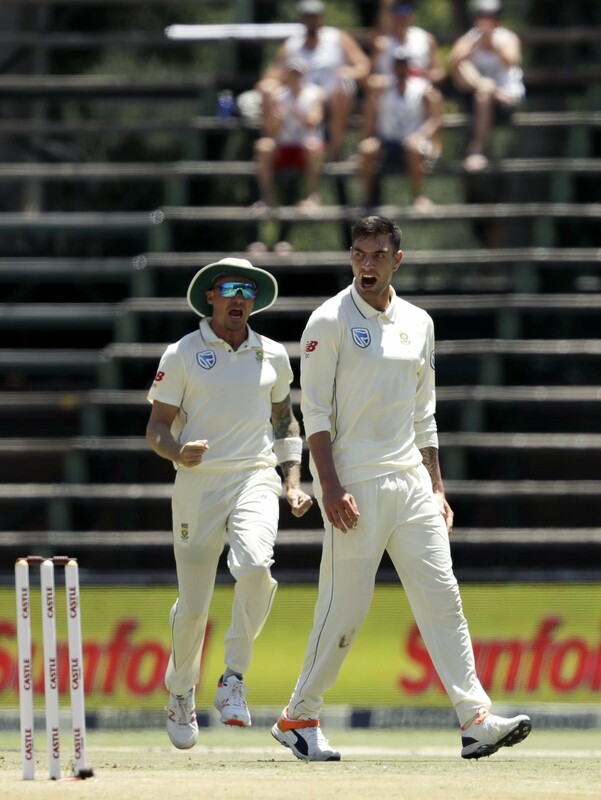 JOHANNESBURG (AP) — South Africa recovered from a careless start to the morning session to eventually take three wickets and reduce Pakistan to 111-5 in its first innings at lunch on Day 2 of the third and final test on Saturday. South Africa dropped four catches and missed a run out chance — and had another injury worry over fast bowler Dale Steyn — before the three strikes in the space of 38 runs set Pakistan back. Duanne Olivier removed nightwatchman Mohammad Abbas for 11 and Asad Shafiq for a duck in the same over. 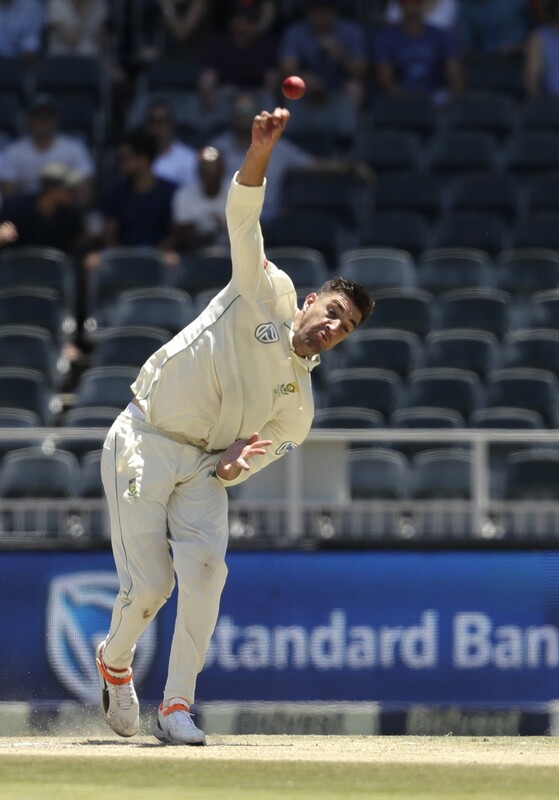 Vernon Philander dismissed Imam-ul-Haq for 43 shortly before lunch to ultimately give South Africa a successful session. 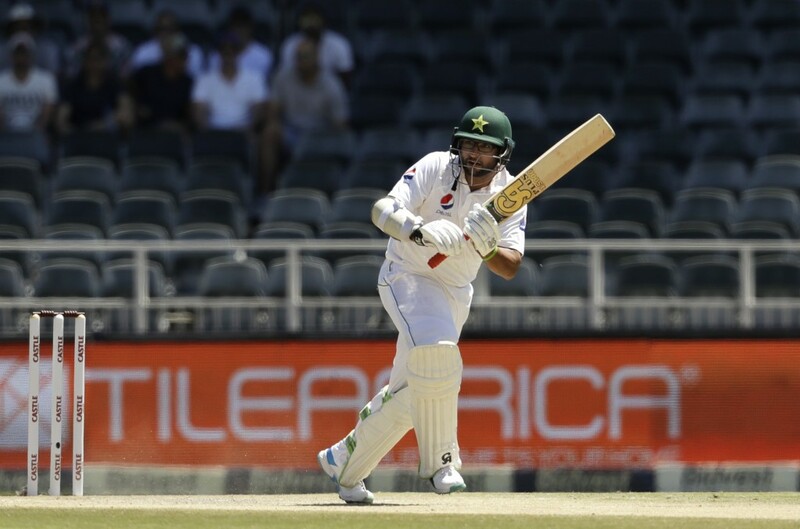 Pakistan was 17-2 overnight and Abbas frustrated South Africa on the second morning, putting on 47 with opener Imam-ul-Haq until Olivier finally sent him packing, off an edge to Theunis de Bruyn at third slip. Olivier had new batsman Shafiq caught behind three balls later. Steyn saw three of the four dropped catches go down off his bowling and also left the field temporarily holding his right shoulder, which was the same shoulder in a career-threatening injury for Steyn in 2016. Steyn returned to the field and bowled again, though, allaying fears of serious damage. South Africa made 262 all out on the first day. Pakistan, 2-0 down and with the series already lost, is seeking to avoid a 3-0 whitewash. Babar Azam was 41 not out at lunch and captain Sarfraz Ahmed 8 not out with Pakistan 151 runs behind with five wickets remaining.